It can be difficult understanding which loan providers focus on these smaller SBA 7a loans because they don’t typically advertise their funding sizes. To help, this article compares three of the best SBA loans under $350K: SmartBiz, Celtic Bank, and Wells Fargo. We received much of the information in this article directly from the SBA. If you need an SBA 7a loan fast, we recommend applying with SmartBiz. They’re our recommended SBA loan provider for loans under $350K. You can pre-qualify in minutes and can get you funded for up to $350K in as fast as 30 days. By comparison, SBA loans routinely take 45 – 120 days to fund via a traditional bank. Additional SBA loan rates, terms, and qualifications are typically similar regardless of what lender you choose, due to the nature of SBA loans. We go into more detail below. SmartBiz is our recommended SBA loan provider for SBA loans under $350K. Normally, SBA loans require lots of paperwork and close in 2-4 months. SmartBiz is the fastest SBA loan provider we’ve reviewed, and they take away much of the headache of the SBA loan process. Their initial online application process takes just a few minutes and can fund within 30 days. Unlike the other providers in this article, SmartBiz isn’t a direct lender. Instead, they connect borrowers with the best SBA banking partners. They were named the #1 SBA loan facilitator in 2016 because they funded more loans than traditional lenders. As a facilitator, they can help you find the right SBA lender. This is different from traditional SBA lenders like Wells Fargo and Celtic Bank are traditional banks that finance SBA loans of all sizes. For example, it will likely take longer to get to funding from a traditional bank. Further, most traditional banks only offer SBA Express Loans under $350k while SmartBiz offers traditional 7a loans with lower rates. What’s more, every single SBA 7a loan SmartBiz facilitates for working capital is less than $350K. This makes them the perfect partner to get your loan approved for a loan of this size because they’re the only loan provider on this list that specializes in loans under $350K. With SmartBiz, you can prequalify in minutes by filling out a simple online application. Celtic Bank is the best traditional bank for SBA loans under $150K because of their experience. Their average SBA 7a loan is around $102K, where most traditional banks are well over $150K. Celtic Bank is an SBA preferred traditional lender that is consistently ranked as one of the best SBA loan providers nationwide by the SBA’s top 100 lenders list. In 2016, Celtic Bank funded nearly 500 more loans under $350K then Wells Fargo, totaling about $2.3 million more. Focusing on small loan sizes, Celtic Bank’s average loan size in this range was $101,891. This makes them a great choice for smaller loan amounts under $150K. Celtic Bank is a good option to fund your SBA loans because it’s the main focus of their business. SmartBiz is the best online provider for loans under $350K, but if you prefer to go with a traditional bank and need $150K or less, Celtic Bank is the next best thing. With Celtic Bank, you can fill out an online application and be fully funded within 60 days. We recommend Wells Fargo as the best traditional option for SBA loans between $150K-$350K because of the volume of smaller loans and their average loan size of $167K. They give out more SBA loans and lend out more money than any other lender in the country. In fact, we previously named them the best SBA lender. In 2016, Wells Fargo originated 715 7a loans under $350K, totaling over $119 million in dollars funded. Wells Fargo funds a fair amount of startup businesses and business acquisitions, which is something that many loan providers, including SmartBiz, doesn’t do. However, if you’re looking for an online lender, SmartBiz is a better option. If you want to go with a traditional lender that typically fund loans below $150K, then check out Celtic Bank. Still, Wells Fargo has the experience necessary to deal with small businesses of all sizes. For example, they are the leader in SBA lending across the country for loan amounts above $350K, and they focus more on these loan amounts than either Celtic or SmartBiz. Additionally, they’re fast to fund for a PLP lender, typically getting you the money you need in 30-60 days. Business owners who need an SBA loan under $350K typically need it for short-term working capital or because they can’t qualify for a larger loan. The first place these owners should look is with SBA providers that specialize in loans of this size. There are plenty of SBA loan providers out there, but many of them are large banks that focus on loans above $350K. For a small business looking for less than $350K in funding, it’s important that you find a loan provider that has a history of giving out smaller loans and a track record for speed. 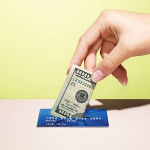 We at FitSmallBusiness.com were able to obtain funding through SmartBiz after getting turned down by 5 banks, and we have seen this happen with many of our readers, too. This is because SmartBiz makes SBA lending easier for both the small business owner and the lender. While they’re newer to the space than traditional lenders, they’re the best at these smaller loan amounts, now having funded well over $500 million. This buyer’s guide covers the best places to get an SBA 7a loan if you’re looking for up to $350K. An SBA 7a loan is a government-guaranteed general purpose business loan that can be used for working capital, to renovate a building, to purchase equipment or machinery, or for a number of other business-related uses, such as refinancing and debt consolidation. For more information on all of the Small Business Administration’s (SBA) loan programs, check out our article on types of SBA loans. Below, we analyze and contract the most important aspects of the SBA 7a loan process in order to see how each of these three loan providers stack up against each other. Part of finding the right loan provider for loans under $350K is knowing how many of these loans each loan provider has funded. The more of these smaller SBA loans they originate, the better your chances are of getting approved. This is because most loan providers focus mainly on larger SBA loans due to the SBA guarantee that lowers a loan provider’s risk. All three of the loan providers in this article lend large amounts of loans under $350K each year. The numbers below represent how much was funded during the 2016 fiscal year. SmartBiz: They haven’t released the exact number of loans, but they funded over $200 million in 2016. With their average loan amount being about $77,000, the total loans funded is likely the highest of all three providers, somewhere around 2,600. Celtic Bank: They funded 1,191 loans under $350K for a total of $121,698,355. This gave them an average funded amount of $102,182. Wells Fargo: They funded 715 loans under $350K, for a total of $119,372,085. This gave them an average funding amount of $167,188, which is the highest of all three providers. The biggest drawback to an SBA loan is how long it takes to get funded. Many lenders can routinely take 45-120+ days to fund your SBA loan. Business owners looking for smaller loan amounts less than $350K are likely wanting to get funded much faster than that. Both SmartBiz and Wells Fargo can fund in as fast as 30 days, with Celtic Bank falling behind. 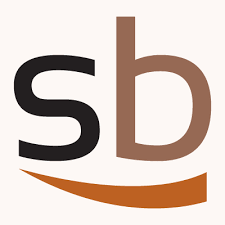 SmartBiz: SmartBiz is generally your fastest option, funding many loans within 30 days. Wells Fargo: Wells Fargo is faster than most traditional banks, funding in 30-60 days. Maximum interest rates are typically between 6.5% – 9% but are periodically changed by the SBA. For more information on the most up to date SBA interest rates, you can check out our article on SBA loan rates, which includes a full rates table. The SBA requires a fee of 3 to 3.5 % of the guaranteed amount of the loan for loans over $150K. Appraisal fees (for real estate or business acquisitions), title insurance fees, environmental studies (for real estate), and other third-party costs are the borrower’s responsibility. These can be rolled into the loan, increasing your borrowing total. Closing costs vary based on the loan size, collateral, use of funds, and your lender. The SBA requires small businesses to carry key person insurance and other types of insurance when a loan isn’t 100% collateralized. Required insurance will be part of the bank’s final loan proposal to you before closing. Some lenders – particularly large banks – will also require an upfront deposit to cover closing costs. This can be difficult for small business owners who are in a cash crunch, but it’s required for the bank to feel comfortable moving forward. It’s a short-term cost because it can typically be paid back at closing out of your loan proceeds. The real distinction among lenders is in other miscellaneous fees, such as packaging fees. The SBA prohibits lenders from charging processing fees, origination fees, application fees, points, brokerage fees, or bonus points. Generally, you can expect to pay between 4.5% – 11% in fees to process your loan, plus any additional fees your lender may charge. SmartBiz: You’ll pay up to 4% of the loan amount in a referral and packaging fee. And closing costs are approximately $317. Celtic Bank: Generally their packaging fee is about $2,500 and their closing costs vary by loan. Wells Fargo: Wells Fargo generally doesn’t charge any fees beyond closing costs, the SBA-required guarantee fee, and SBA-required insurance. They do require a deposit to cover closing costs, and the size of the deposit varies based on the loan type and size. Business with positive cash flow or (for startups) positive cash flow projections. This typically translates to a Debt Service Coverage Ratio (DSCR) of at least 1 to 1.25. 10-20 % down payment if you’re starting a new business or are acquiring a business or real estate. These requirements are on top of the SBA’s eligibility requirements. Keep in mind that every lender will require a personal guarantee from the primary business owners, and you’ll be required to submit a personal financial statement through SBA form 413 to show what assets you have to back up that guarantee. SmartBiz: To qualify with SmartBiz you need a 680+ credit score, 2+ years of business history, and a 10% down payment. Celtic Bank: They look at each applicant independently, and they do not specifically require minimum qualifications beyond the basic SBA qualifications above. Wells Fargo: On top of the general SBA requirements listed above, you will also need to be an existing and ongoing business, and you can’t have a tangible net worth above $15 million. Wells Fargo tends to look at the entire credit profile for approval, without indicating any part of your application is more important than another. Each of these steps can slow down your funding speed if you’re not properly prepared. SmartBiz: First, you must fill out an online application that takes about a half hour. When Fitsmallbusiness.com did it, we received a pre-approval email immediately after filling out the application. After that, a SmartBiz rep asked us for supporting documents, submitted our loan package to a partner bank, and helped us with the lender’s underwriting and closing processes. 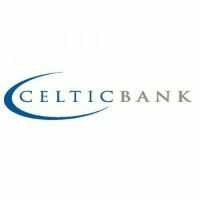 Celtic Bank: Celtic Bank, unlike most traditional banks, allows you to fill out an online application to get prequalified for an SBA 7a loan. Once it’s filled out, you’ll get a response from the bank within 1 – 2 days. After that, the process follows the typical pattern of asking for more information and more documentation until you’re full approved through underwriting. Wells Fargo: Wells Fargo can typically only fund within 30 days if you submit all the needed documentation up front. You’ll have to go into a branch location or speak to a representative over the phone to fill out an SBA loan application because there is no online application. Then you’ll submit all of the required paperwork, and will get approved within 2-3 weeks. Most lenders provide plenty of ways for you to reach out to them to get your questions answered. Some lenders make those opportunities available online a lot better than others, but all three providers in this article provide plenty of customer service opportunities. Customer reviews can be a great indication of how well your loan provider is going to treat you if you need to work with them after closing. These reviews could also identify flaws within the application process, or how difficult it is to move through the process with your potential loan provider. SmartBiz: Their customer service is available via phone or email during normal working hours (9am-5pm PST). They also offer the opportunity for you to reach out via social media. Their customer reviews are overwhelmingly positive. On TrustPilot, they’ve received a score of 9.6 out of 10 on over 350 reviews. They’re also considered an A+ business at the better business bureau. Celtic Bank: Their customer service is available via phone or email Monday – Friday from 9am to 5pm MST. They also accept queries via social media. While they didn’t have any reviews on TrustPilot, the BBB ranks them as a B+ business due to 12 complaints. The only negative review we found was dealing with their credit card product and not their SBA loans. 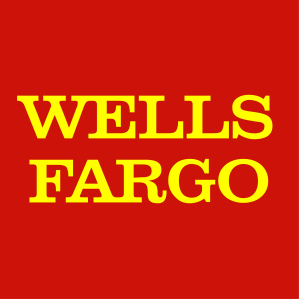 Wells Fargo: They offer customer service online and via phone 24 hours per day, 7 days per week, and they offer thousands of locations you can walk into for help. Their score on TrustPilot is a 3.4 out of 10 on 23 reviews, and the BBB has a variety of rankings for them. This is due to the large number of branches and organizations they have throughout the country. They don’t have a ranking specifically for their SBA loan division. Before you apply, It’s important to know whether or not a lender can even loan you money in your state. All three of the options in this article lend nationwide. Even though there is no coverage difference between the three providers, we included this section because it is important to check before you choose a loan provider. If you’re looking for an SBA loan under $350K, then all three of these lenders are a good option. SmartBiz, however, focuses heavier on loans of this size than any other loan provider, and is our recommended provider. They’re the fastest SBA loan provider that we know of. SmartBiz provides SBA loans under $350K for working capital, and can fund in as quick as 30 days. To qualify, you need to have a 680+ credit score, 2+ years in business, and 10% collateral. You can fill out an online application and know if you prequalify within a few minutes.